Welcome everyone to the Crusaders of Light Tips and Tricks Guide. This guide is designed to help you understand the mechanics of Crusaders of Light and how to further yourself in the game. Crusaders of Light is an Action RPG style game for Android and iOS. It’s very similar to old school MMO games having a very familiar feel and starting. You begin by choosing your character class and their gender then you’re taken to the game’s tutorial. 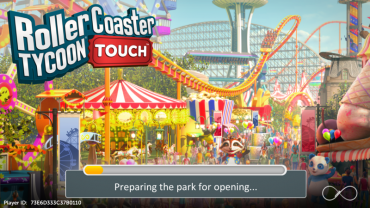 It’s very brief and you pick up the controls very quickly. For anyone who’s played any MMO ever you will very quickly understand the way this game plays. You’re given a basic attack and 4 skills you’re able to use and a free range of movement. Similar to other mobile games like Marvel’s Future Fight but on a more semi-open world style. The game is very story heavy and that’s the biggest objective is following along with the story. You’ll be given missions that you’ll go through and even given the option to let the game play in auto mode. Which is extremely helpful for his MMO style of play because there’s a lot of grinding that Auto will make a lot more bearable. Once you’re out of the tutorial you get put into the main world of the game where you’re set on the story path. You’ll be given mission after mission that follows along with the games story line. As you complete missions you’ll gain exp and equipment for your character making them stronger much like any RPG. With levels comes skill points you can use to enhance your skills and get new ones as well. Aside from story missions, there are other things you can do in the world like in most MMOs. By getting the proper skills and equipment you can mine ore, craft weapons and armor, and other things that become available later in the game. The big appeal to games like Crusaders of Light is the investment you put into your character. It’s their story and you decide how they handle it ranging from the weapons they use to the kind of skills they learn. There are many ways in the game to get things needed to increase your character’s growth. The most basic and time-consuming is the method of grinding. As you progress through the story mode things will get more difficult and you won’t just be able to plow your way through mobs of monsters. To gain some levels and get yourself ahead of the game you can grind on monsters in one area. Grinding is a term where you kill the same monsters over and over until you reach the desired level you want. MMO’s are naturally all about grinding whether it be for levels, materials, items, etc. Once you have your character in a comfortable spot with their level the next thing you can focus on is their weapons and gear. You’re given some through the story mode as you progress but you can also buy some through shops in the game. To get weapons and armor you need Silver which you get by playing through the game and completing missions. You can also get silver from login bonuses and in game bonuses by completing different tasks. You can also use silver to upgrade your skills which is very important for character growth and getting the best out of them. 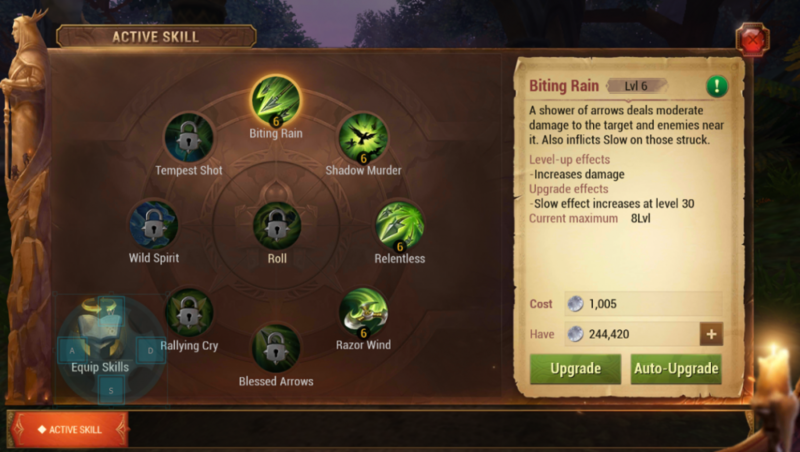 Each skill as a level and by upgrading them their level increases along with the damage and effectiveness of that skill. Silver is very important for building your character because of how many things require you to spend silver. Silver is something you can also grind for with killing monsters and missions like mentioned above. Once you’ve got your level and equipment set out, your skills are higher in level, and a good amount of silver in your pocket you’re ready to head onto the story. In the beginning story mode is nothing too hard to handle just basic fantasy lore and simple monsters. But as it goes on it will get harder and far more difficult to get through. And being an MMO style game the story is going to branch off into Side Quests which some will be as difficult if not harder than the story itself. Crusaders of Light is a game all about investing time to enjoy the story and build your character. Just like any MMO you’re going to sink hours into this game and if you enjoy that style of game then having one in a mobile form on the go is going to be perfect.